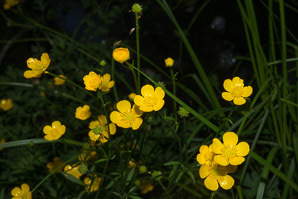 Buttercups are natives of Europe and temperate portions of Eurasia, and possibly Greenland and Alaska. 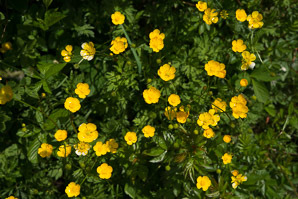 It has been introduced to North America and Australia, where it is naturalized and widespread, even invasive in some regions. 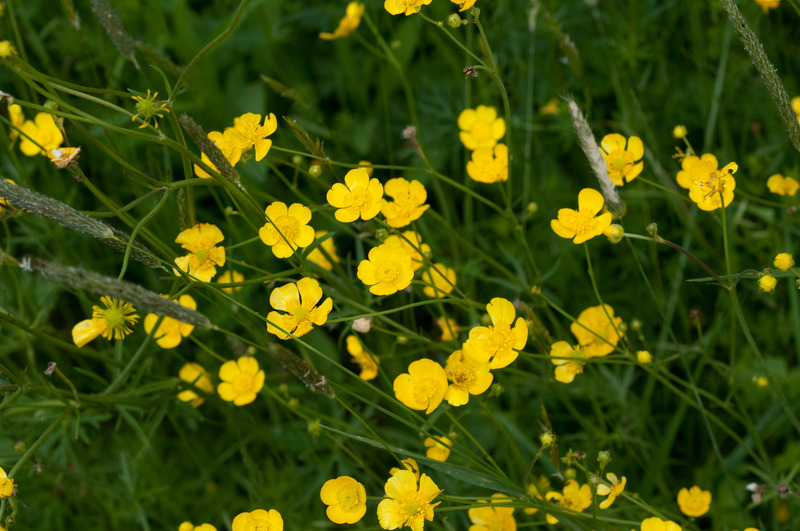 Ever wondered why buttercups have such bright, shiny flowers? You might be surprised to know that people have speculated about this for over a century, and that researchers recently discovered a possibly unique mechanism for the strong yellow reflection. 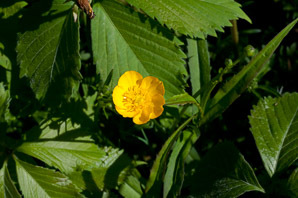 The article, published in the Royal Society journal Interface, is summarized by Science Daily. Identification: Buttercups are 12-36" (30-91 cm) high, with leaves on stalks near the base, and smaller, less lobed upper leaves on the stems that bear flowers. 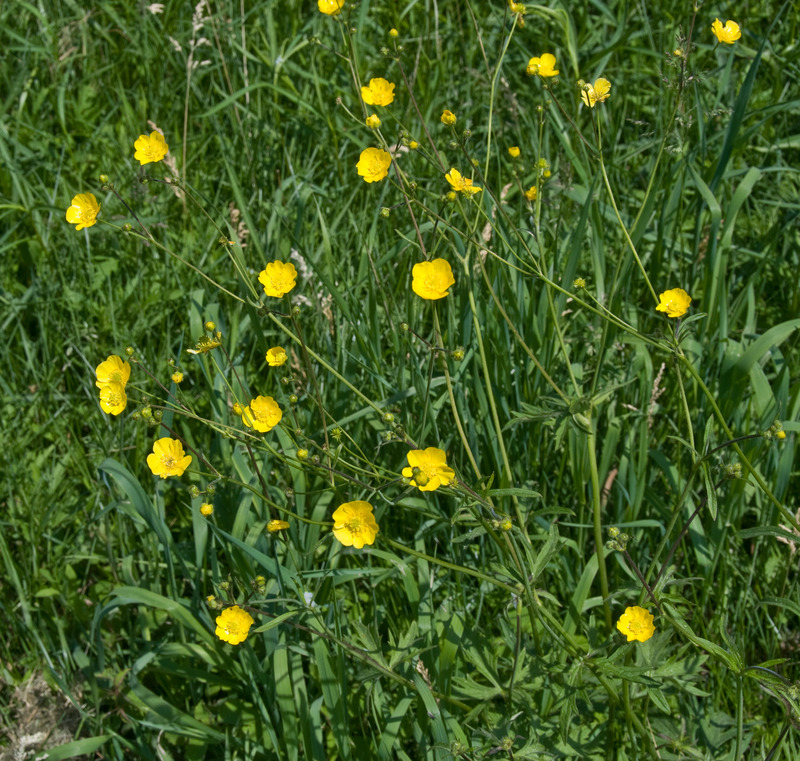 Stems are usually hairy, hollow, and with few leaves. 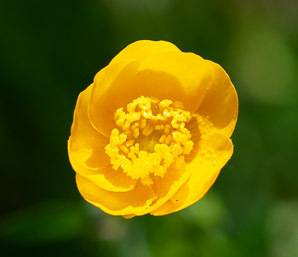 Flowers are bright yellow, sometimes with an orange tint, and often shiny, with five petals and a yellow center, about ⅞" (2.5 cm) across. 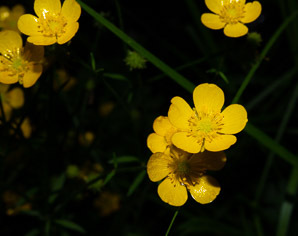 They appear from May to September. 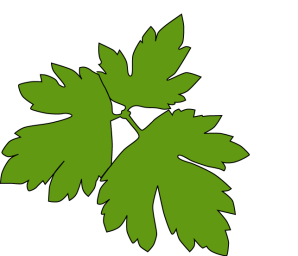 Basal leaves are deeply divided. 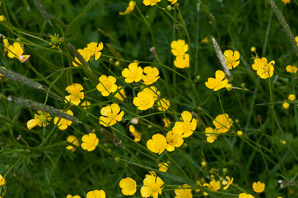 Edibility: Poisonous All members of the buttercup family are poisonous. 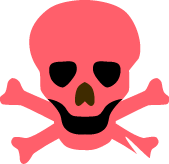 Extremely bitter. 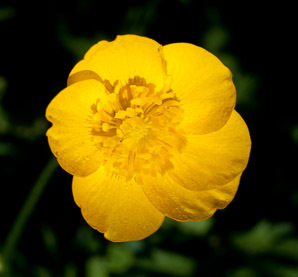 Causes salivation, skin irritation, blisters, abdominal distress, inflammation, and diarrhea. 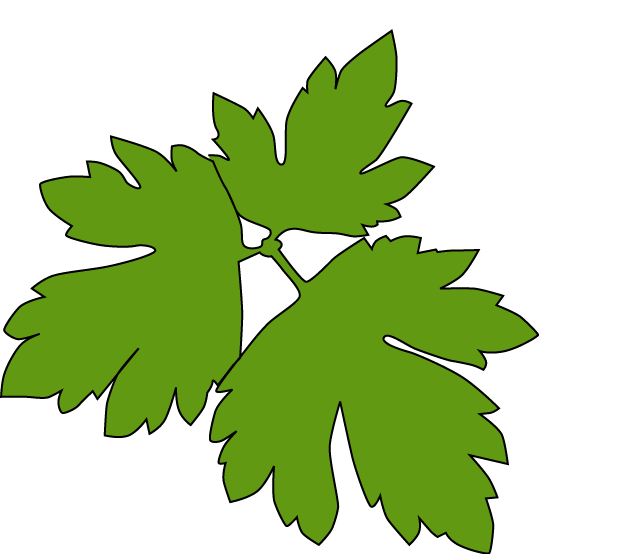 Ranunculus acris description by Thomas H. Kent, last updated 2 Jan 2019.